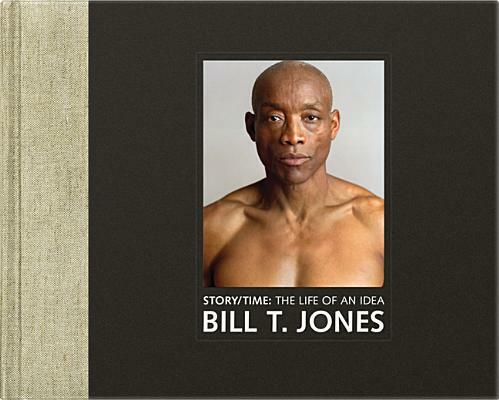 In this ceaselessly questioning book, acclaimed African American dancer, choreographer, and director Bill T. Jones reflects on his art and life as he describes the genesis of Story/Time, a recent dance work produced by his company and inspired by the modernist composer and performer John Cage. Presenting personally revealing stories, richly illustrated with striking color photographs of the work's original stage production, and featuring a beautiful, large-format design, the book is a work of art in itself. Like the dance work, Story/Time the book is filled with telling vignettes--about Jones's childhood as part of a large, poor, Southern family that migrated to upstate New York; about his struggles to find a place for himself in a white-dominated dance world; and about his encounters with notable artists and musicians. In particular, Jones examines his ambivalent attraction to avant-garde modernism, which he finds liberating but also limiting in its disregard for audience response. As he strives to make his work more personal and broadly engaging, especially to an elusive African American audience, Jones--who is still drawn to the avant-garde--wrestles with questions of how an artist can remain true to himself while still caring about the popular reception of his work. A provocative meditation on the demands and rewards of artistic creation, Story/Time is an inspiring and enlightening portrait of the life and work of one of the great artists of our time. Bill T. Jones is an acclaimed dancer, choreographer, and director. He is the artistic director, cofounder, and choreographer of the Bill T. Jones/Arnie Zane Dance Company and executive artistic director of New York Live Arts. He is the recipient of many awards and honors, including Tony Awards for FELA! and Spring Awakening, a Kennedy Center Honor, and a MacArthur Fellowship. In 2014, President Barack Obama awarded Jones the National Medal of Arts, the country's highest honor for achievement in the arts.